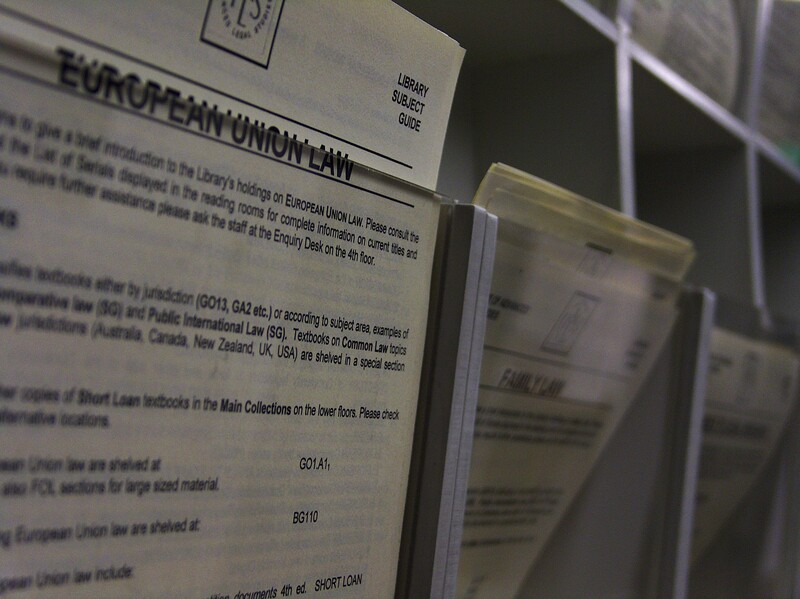 This guide aims to give a brief introduction to the Library's holdings on Tax Law . Please consult the Library Catalogue and the List of Current Serials for complete information on current titles and locations. If you require further assistance please contact us. This guide was created by Katherine Read, Principal Library Assistant at the IALS Library. This Subject Guide only lists a selection of Library resources on Tax Law. To find additional resources you will need to search the Library Catalogue, which covers the complete holdings of the Library. It is possible to search for books, journals and series of law reports by author, title or keyword. Please note it is not possible to search for individual chapters, journal articles or legislation (e.g. individual Acts or SIs). Older items (marked RES or Depository on the catalogue record) are kept in the closed basement. Key texts for LLM students are often kept in the Short Loan collection. Please request these at the Library Enquiry Desk. For more information on understanding the catalogue record and further guidance on the location of materials please refer to our guide Classmarks and the Location of Resources in the Library. The Library classifies textbooks either by jurisdiction (GO13, GA2 etc.) or according to subject area, examples of which include Comparative Law (SB), Public International Law (SG) and Private International Law/ Conflict of Laws (SH). All classmark sections have a FOL section for oversize volumes, which is located on the same floor of the Library. When you are searching the Library Catalogue for books, please note that only the current edition is held on the open shelves or in the Short Loan collection. IALS has a rich collection of previous editions held in the closed basement and these will display a Depository number on the catalogue. Please request previous editions from the Library Enquiry Desk. IALS Library holds a wide selection of current serial titles on Tax Law from many different jurisdictions. These are located on all floors of the Library. Some titles are only in printed volumes while others or available in both formats. For more detailed help, please refer to the guide on Finding journal articles. The following titles focus particularly on Tax Law but there may be relevant articles in less specialised journals. If you are interested in legislation or cases concerning Tax Law issues in specific countries you will need to consult the legislation or law reports for that jurisdiction. Consult the List of Serials and Library Catalogue to find the general classmark for the country you require. Consult consolidations of legislation, digests or indexes to trace particular acts or cases. Academic users may also use databases like Lexis/Westlaw to find UK, US, EU or international decisions. For further information please refer to the Electronic Law Library or ask at the Library Enquiry Desk. You may also find it useful to refer to our guides on finding Legislation and Cases or check to see if we have a Jurisdiction Research Guide for the country you are interested in. A valuable free source is BAILII, the British and Irish Legal information Institute which is based and maintained at IALS. It provides free access to full text UK judgments and legislation on a wide range of subjects including Tax Law and also links to other free World Law databases. Jurisdictions covered in these resources include Commonwealth countries eg. AustLII (Australia) and CanLII (Canada), France, Germany, Italy, the USA and South Africa.